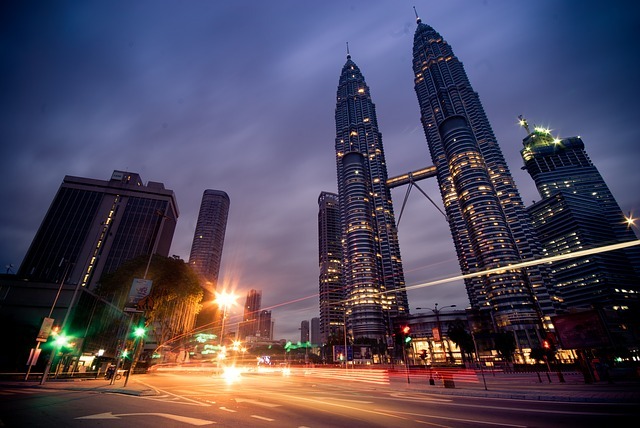 Malaysia is a hugely varied country, known as being both a popular extended vacation destination as well as a spot to pass through on your travels. Whether you’re planning to visit while on a backpacking trip, whether you are relocating to the beautiful country or are simply spending your vacation there, there’s always the possibility that you may need more luggage than is provided in your airline’s luggage allowance. You may have a particularly heavy backpack, or perhaps you’re staying for an extended period and need more weight than you can carry. It may even be that you have bought too many souvenirs in Malaysia and need a way of transporting your new wares. If this seems like a problem for you, Send My Bag can pick up and deliver to or collect from the whole of Malaysia. Whether you’re spending a few weeks snorkeling on the beach at Redang and want to use your own gear, or are starting the first leg of an Eastern adventure in the Penang region, we can ship your luggage to you hassle free. You can avoid a lot of hassle when traveling to Malaysia by sending your possessions with Send My Bag. This is handy for relocating to Malaysia or just for your holiday as it allows you to bring everything you need without having to drag heavy bags through the airport or onto public transportation. Your possessions will be looked after for you, allowing you to get on with exploring all that Malaysia has to offer. Send My Bag will pick up your bags at home and deliver them to your accommodation in Malaysia. To find out more about sending luggage to Malaysia, visit our ‘How it works’ page, or our ‘FAQs’. Because customs processes and allowances differ according to the country, we suggest that all travelers take a moment to see how their personal circumstances and what they are sending will be viewed by Malaysian customs officials. Malaysia is known especially for its rich cultural heritage with its hugely mixed population of Malays, Chinese, Indians and other indigenous groups. Many people travel through the country as part of organized trips or backpacking tours of South East Asia. The major tourist cities are Kuala Lumpur ‒ home to the Petronas Towers ‒ and George Town, the capital of Penang. Tourists are also drawn to Malaysia’s huge expanses of coast, beaches and islands. Snorkeling is a popular activity for tourists, whether they are beginners or advanced. The festivals celebrated annually are amazing to see, as are the tropical rainforests such as Taman Negara, home to a huge range of native plant and animal species. Traditional arts and rural crafts are popular in the stunning and accessible countryside, and tourists often return home with rattan baskets, ceramic jugs and brocade.